97% of the city can now get superfast broadband and 7% can now get new ultrafast full fibre services, however, that still leaves 3% of premises unable to access superfast broadband. Being stuck in a superfast not spot can be a frustrating experience: you could have problems streaming video; take ages to download things; have problems working from home; and experience your whole connection grinding to a halt when a few people want to use the internet at the same time. With broadband now the fourth utility, poor broadband can really get in the way of people and businesses making the most of digital opportunities. How do superfast not spots arise? There are many reasons, but they can occur in premises on ‘exchange only’ lines, on private unadopted roads which makes it more difficult for a new network to be installed or in flats where the management company is not interested in upgrading connections. This is not just a problem for older properties, some developers in the city fail to adequately plan for their buyers’ broadband needs. It’s one of the reasons why the council is more proactive around its policy that developments are built with at least superfast broadband – we actually try and persuade developers to install fibre-to-the-home as standard, however, we are waiting for national legislation to make this an obligation. We hear from some Bristol residents who think they’re in a not spot, but, in fact, they aren’t aware of the superfast options available to them. Some think when a new network is installed in their area, they automatically get superfast or full fibre broadband. Sadly, this is not the case. You have to subscribe to a new service to get the benefits. Check Openreach’s fibre checker, or Virgin Media to see if you can already get faster broadband. Openreach’s Fibre First programme is rolling out in phases across the city. This will deliver fibre-to-the-home (full fibre) services to properties in the city. Have a look at the Fibre First Bristol page to see if your Openreach exchange is covered by the first phases of this. The Openreach fibre checker may also give you more information. If you live in private accommodation e.g. flats – get together with your neighbours and lobby your management company for better broadband. They are often the block in private flats, however, telecoms providers will often cover the cost of installation of full fibre broadband to some developments. See if you can get a connection voucher from the Government. There are two schemes: Gigabit Voucher Scheme and the Better Broadband Voucher Scheme. The Better Broadband Voucher Scheme is for properties that cannot get at least 2 megabits per second (mbps) download speeds. The Three network has just launched an unlimited mobile home broadband offer over its 4G network and has good coverage in Bristol. This could relieve your broadband blues. Other providers offer mobile home broadband although data limits normally apply. In 2020, there will be a new statutory right to request broadband of at least 10 mbps. More details to follow on how this will work in practice. 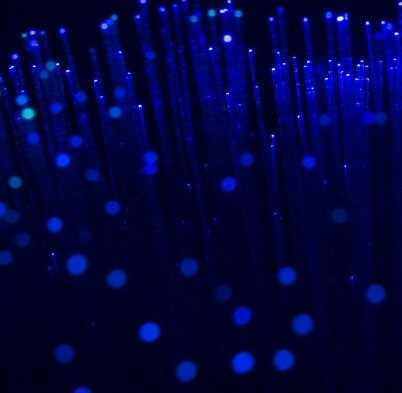 Other companies, like City Fibre, are also preparing to invest in the full fibre revolution taking place in Bristol and the UK. Good luck in getting better broadband.